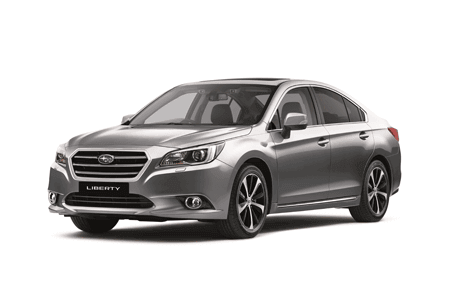 Right now it’s your chance to enjoy our great driveaway prices with our 2018 Liberty model run out. 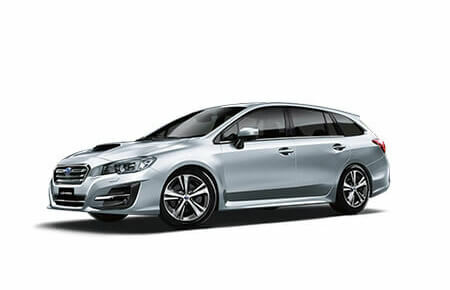 With the legendary grip and control of Subaru’s Symmetrical All-Wheel Drive (AWD) and horizontally-opposed Boxer engine at its core, a Subaru Liberty is a sedan that’s not only beautiful to drive, it’s a pleasure to own. 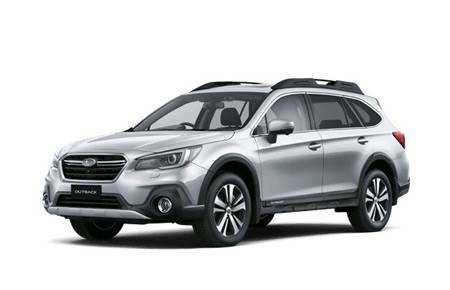 Spacious and luxuriously appointed, you’ll love every minute you’re behind the wheel - your family and friends will too. 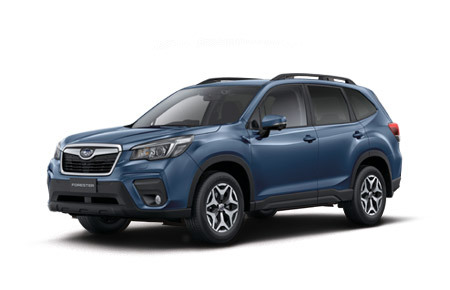 Plus, enjoy up to 5 years unlimited kilometre warranty1 now standard across the range. 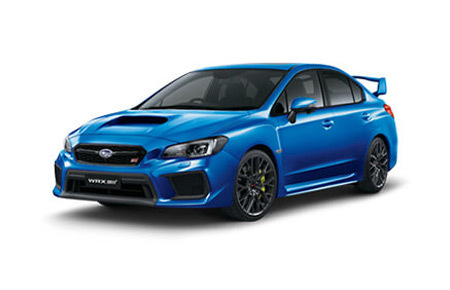 1) For full warranty terms and conditions visit Subaru.com.au/warranty or call 1800 22 66 43. 2&5) Price is the manufacturer’s recommended retail drive away price (RDP) on a new car. 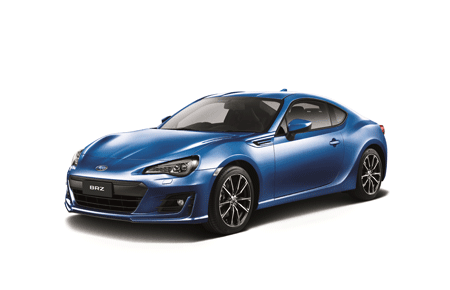 Final on road costs may vary according to individual circumstances and from dealer to dealer. Offer excludes Government and Business Rental Buyers. 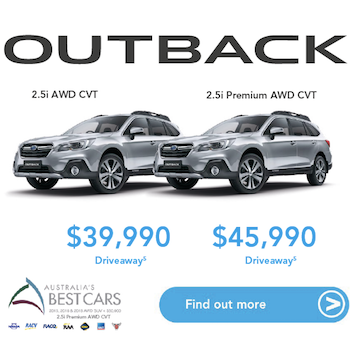 Right now it’s your chance to enjoy our great driveaway prices with our 2018 Outback model run out. 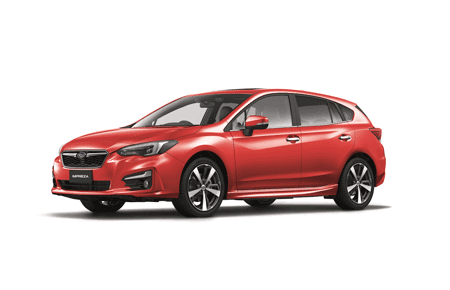 Loaded with advanced safety and entertainment technology, great space and smart storage it’s one of the best cars on Australian roads, tracks and highways. 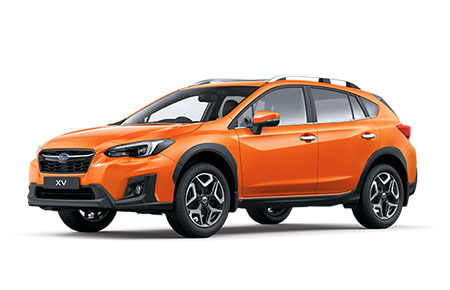 The ride and handling is exceptional, thanks to Subaru’s legendary combination of Symmetrical All-Wheel Drive (AWD) and low-centre of gravity horizontally-opposed Boxer engine. 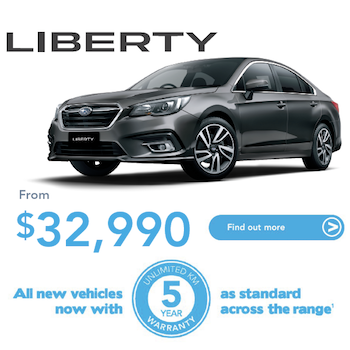 Plus enjoy up to 5 years unlimited kilometre warranty1 now standard across the range.